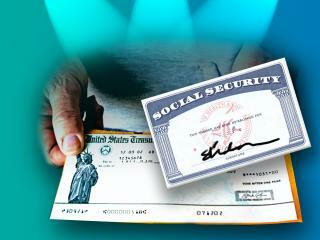 Social Security – Who gets it and when? A Full Explanation! gradually rising to 67 for those born in 1960 and later. • Before 2013. Recipients born in 1937 or earlier receive full benefits at age 65. No limit on earnings, no reduction in benefits for those at full-retirement age. • In 2013. Recipients can earn up to $40,080, then lose $1 in benefits for each additional $3 earned. From month of full retirement age on, there is no earnings limit. • After 2013. Recipients can earn $15,120 in 2013 before losing $1 in benefits for each $2 earned. Age 50. Benefits start for disabled surviving spouse. Age 60. Benefits start for nondisabled surviving spouse. Age 62. Reduced benefits for employee’s spouse or former spouse (if still alive). Important: 40 earned credits (generally 10 years of work) will make a person eligible for benefits at a certain age—but not necessarily maximum benefits. Credits are unrelated to the amount of the benefits. Social Security benefits are based on average earnings of the best 35 years of work—not just the last 10 years, as many think. An adjustment is made to account for changes in average wages since the year the earnings were received. SSA then calculates average monthly adjusted earnings over those 35 years when the worker earned the most money. Handy new Website. The SSA’s new “my Social Security account” is a personalized online account that replaces the annual paper statement mailed to workers. When employees have questions about their future benefits, send them to the site below. The new site lets you access your payment history, earnings record and a benefits verification letter. The letter can be used to prove income to secure a loan, mortgage, housing, state or local benefits, or to prove your age for Medicare health insurance coverage, retirement or disability status. The letter can be customized and printed. You can also change your address and sign up for direct deposit. Anyone 18 or older can sign up at http://www.socialsecurity.gov/myaccount/. Be ready with data about yourself. On the same Website, those not yet receiving benefits can access their Social Security statement of earnings, benefits information and estimates of future benefits and link to online services such as applications for retirement disability or Medicare. This entry was posted in Information, Saving money, The Economy and tagged social security benefits. Bookmark the permalink.